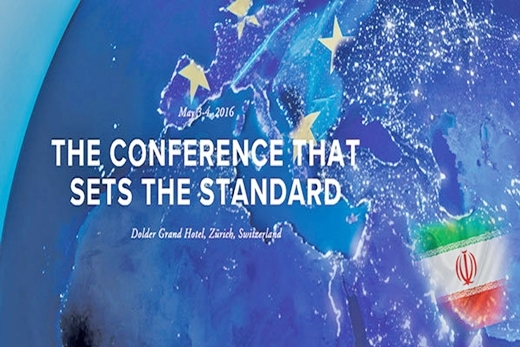 The 3rd Europe-Iran Forum opened on Tuesday May 3 in Zurich, Switzerland. The 2-day event offers a new and innovative program designed to balance high-level networking opportunities with panels and industry-focused workshops of real practical value. The forum features 6 panel discussions, 15 industry workshops, and 4 keynote speeches, according to the official website of the forum. For the last two years the Europe-Iran Forum conference series has enabled noted European and Iranian business leaders to forge new relationships, share strategic insights, and lay the foundation for future trade and investment in Iran. Including both the first Iran-focused international business conference (London 2014) and the largest such conference to date (Geneva 2015), the Europe-Iran Forum conference series is the most respected gathering for senior business leaders looking at the Iran opportunity, as well as for policy leaders seeking the formation of new and constructive ties.